Hanoi (VNA) - Tourism development in the coming time must focus on improving quality of products to obtain sustainable development and high competitiveness. Deputy Minister of Culture, Sports and Tourism Huynh Van Ai made the statement at a workshop in Hanoi on August 29. He said Vietnam’s tourism has seen strong growth in recent years with the reception of 10 million international tourists and over 62 million domestic holiday makers in 2016. The total revenue was estimated at over 400 trillion VND (17.6 billion USD). In 2017, Prime Minister Nguyen Xuan Phuc has set the target of attracting 13 million -15 million foreign visitors and posting year-on-year growth of 30-50 percent, he said. This is an ambitious goal, which requires maximum efforts of all sectors and people to turn the tourism sector into a spearhead economy. 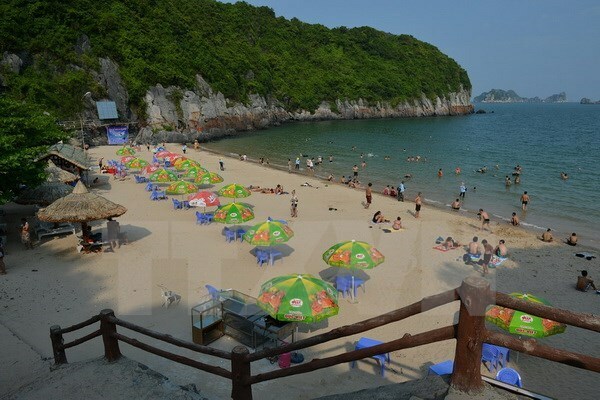 Head of the Vietnam National Administration of Tourism Nguyen Van Tuan said Vietnam served over 8.47 million overseas holidaymakers in the first eight months of 2017. According to the evaluation of the World Economic Forum for 2015-2017, Vietnam’s tourism competitive edge increased eight places to rank 67 out of the 136 global economies.